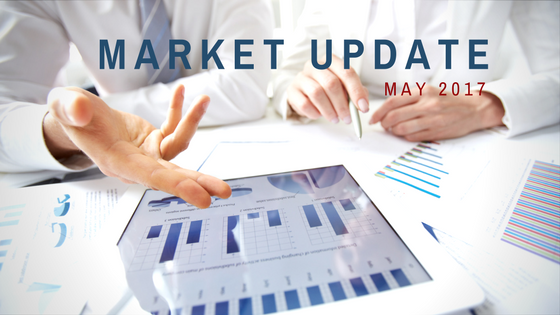 As we enter the last week in May, the increase in inventory has been noticeable. Our last update, a month ago, noted an increase in units from 85 to 116 in zip codes 22315 and 22310. Again, we use those zips because our office is in 22310 and because they mirror what’s happening in the rest of Northern Virginia. If we were locked in a closet in Alaska, and you told us the inventory in 22315 and 22310, we could tell you the pulse of the market. So, today, there are 142 homes available from a one-bedroom condo to a 6-bedroom detached home listed for $1,489,900. There are 168 homes under contract. The amount of homes coming on has been offset by more buyers in the marketplace. So this number (We’re writing this on a Monday) will go down by Wednesday as the more appealing properties go under contract. But they will be replaced by new ones Thursday and Friday. And some may have chosen not to go on last weekend because of Mother’s Day. These two graphs reflect the changing market in zip codes 22315 and 22310 respectively. When inventory goes up pricing correctly and being the best value in your price range becomes well-advised, along with strong presentation and marketing.